Natasha Madarian is our Chief Operating Officer, overseeing both our Bakersfield & Delano locations, & two sister clinics in Los Angeles County. 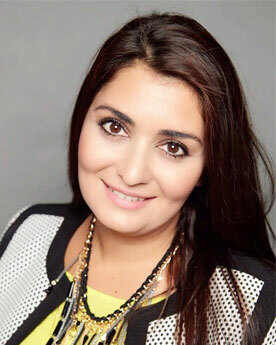 Natasha is well respected by staff and clients for her hands-on approach and availability. Her top priority is to ensure that injured employees are cared for in a complete and efficient manner. It is her belief that the foundation of a great occupational medical clinic should include exceptional medical care along with excellent customer service, and an open line of communication with the employer. Natasha understands that the single largest challenge and highest cost for businesses in our state is Workers Compensation. Therefore, she is currently developing employer outreach and re-education program. The three pillars of her program are: Hire Right, Reduce Risk, Lower Cost. In addition to her work commitments, Natasha has been an active member of her community and a Board Member of the Los Angeles Valley Economic Alliance since 2013, thus embracing projects and supporting businesses in Southern California communities. 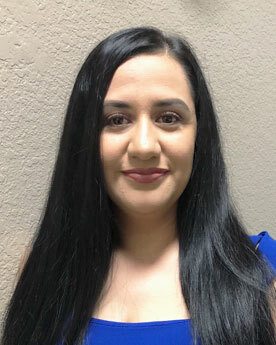 Cecilia Morales has been the Center Manager for CVO's Delano's clinic for over 7 years. 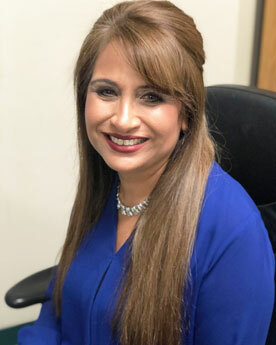 Her extensive medical background includes experience as a Medical Assistant, Front Desk Receptionist, Referral Coordinator, and X-Ray Technician. Cecilia has a can do anything attitude and effectively communicates her knowledge and skills to patients and clients. Ceci works closely with the Bakersfield office to ensure close collaboration and synergy. Bryan Patterson is one of the most senior family members of CVO. His career with CVO began over 16 years ago! His tenure is a real testament to the success of our organization. As Back Office Supervisor, Mr. Patterson oversees all Medical Assistance and Medical Surveillance staff who administer and communicate Drug Screen results and Physical Examinations to employers. He is a certified x-ray technician and always supports new student as a mentor, providing them with externship opportunities. Bryan is dedicated to providing patient care and is always open to suggestions on how to improve the patient experience. Ronald Losa is our Director of Business Development here at Central Valley Occupational Medical Group, Inc. 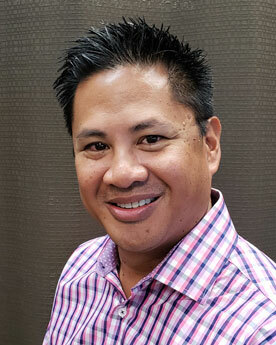 He has over 10 years' experience marketing in the occupational medicine industry and received his Workers' Compensation Certification through the work comp program at California State University Bakersfield. He has great relationships with many employers, building excellent rapport and trust throughout the years working with them. Ron is active at his church, in our community (annually volunteering his time with the National MS Society) and has served as a Board of Director for various organizations, including Kern Economic Development Corporation. Case Management is not for the faint of heart. Maryhelen Osenbaugh has had over 25 years' experience in Workers comp and Case Management. In addition to a 12 year career in Human resources, training and management. Maryhelen has been a part of the CVO family for over a decade. She has been providing intervention on behalf of the patient, medical provider, insurer and employer. Thus, placing herself at the center of the confusion and asking the tough questions. The role of a case manager is an amazing combination of perception, planning, listening, empathy and caring... we are very fortunate to have such a person on our team! 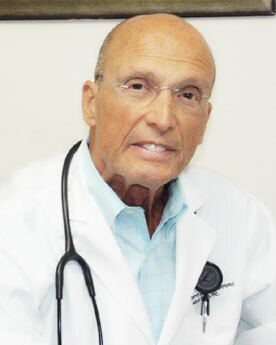 Dr. Richard Sall brings a level of good old charm and a ton of experience. His career spans over 36 years in Occupational Medicine and he has been a part of the CVO family for close to two decades. His primary duties include the treatment of occupational injuries/illnesses, pre-employment physicals, substance abuse screening, disability evaluations, and P&S Evaluations. Dr. Sall received his Doctor of Medicine degree from Wayne State University Medical School in Detroit, Michigan. He conducted his residency training in General Surgery at St. John Hospital and received his residency training in General Surgery at St. Johns Hospital. Dr. Sal received his Board Certification in Occupational Medicine at the Medical College of Wisconsin and is a veteran of the US Army. Maurice Minervini, D.O. has been a provider in the field of Occupational Medicine for over 20 years mastering all aspects of occupational injuries/illnesses, pre-employment physicals, and substance abuse screenings. Dr. Minervini is a graduate of A.T. Still University of Health Sciences completing his internship and residency at Erie Osteopathic Hospital. His successes while participating in triathlons are a testament to his dedication to lifelong fitness and wellness. 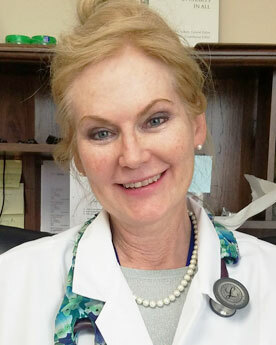 Sheryl Haggerty, M.D., Ph.D. has been a Doctor of Medicine since 2000 gaining much of her experience in the US Air Force where she has received multiple awards for leadership including the Meritorious Service Medal. 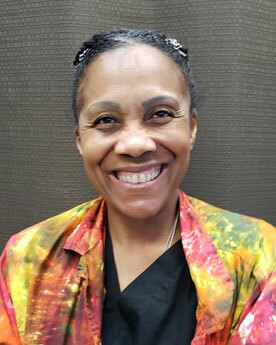 Dr. Haggerty continues utilizing her 15 plus years of experience as an Internist and Occupational Medicine Physician at CVO to play an increasingly viable role in preventing diseases and promoting wellness among workers throughout the Bakersfield community. Joshua Leightburg, M.D. has over 20 years in practice with focuses on internal and family medicine, urgent care, nutrition and metabolic disorders. Dr. Leightburg's vast experience in preventive medicine, the management of illness, injuries, and disabilities have been essential transferable skills for determining an employee's physical and emotional fitness for work. 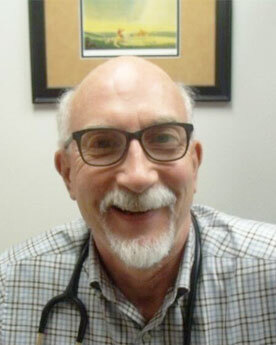 Dr. Leightburg professional knowledge of rehabilitation methods, health education techniques, workers' compensation laws and ability to openly communicate and educate both patients and employers has established him as one of Bakersfield's best Occupational Medicine Doctors. "Greetings & Salutations, delivering patient care with a smile." The motto of our newest medical provider, Dr. Nadjmabadi. 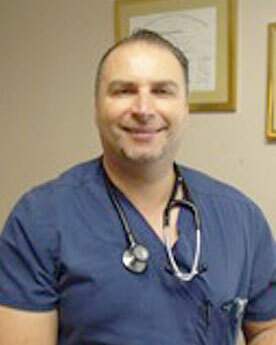 Dr. "Nadj" is a longtime resident of Kern County. He is a seasoned Internal Medicine Physician by trade which included a year of training in General Surgery at UCLA affiliated Kern Medical Center. He has been practicing Occupational Medicine as a specialty for a little under 5 years and he DOT certified and in the process of becoming MRO and QME certified. Dr. Nadj is well liked by many well-known employers in Kern County. 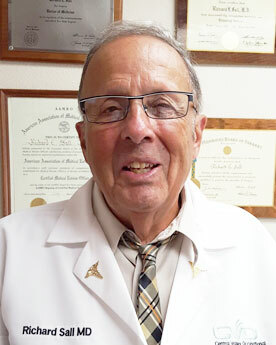 Prior to establishing himself in Kern county, Dr. Nadj spent time living in foreign countries where he picked up Spanish, German & Farsi and speaks all of them fluently, making him well liked amongst foreign speaking patients. Kent Simmons, Family Nurse Practitioner (FNP) has over 20 years of Occupational Medicine experience and has worked at CVO for over a decade. 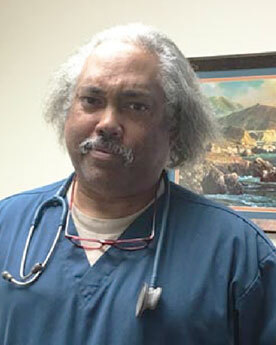 Mr. Simmons performs pre-employment physicals, periodic health & screening exams, and is qualified to conduct Department of Transportation examinations. Mr. Simmons earned his Masters Degree in Nursing University of California, Los Angeles. Prior to working in Occupational Medicine, Mr. Simmons worked in the Emergency Room at San Joaquin Hospital as an ER supervisor. Mr. Simmons is very well liked by both employers and injured employees because he treats each one like a family member. Michael Riley, PA has been practicing Occupational Medicine in California since 2002 and has been practicing medicine at CVO since 2011. His vast experience covers the evaluation and treatment of injured workers, administering injections, immunizations and assessing patient health through interviews and physical examinations. Mr. Riley is qualified to perform pre-employment physicals along with Department of Transportation exams. Along with educating patients on overall wellness and health maintenance, Mr. Riley conducts periodic health & screening exams. Mr. Riley earned his Bachelor's of Science Degree in Health Management and his Physician's Assistant Certification at Charles Drew University. 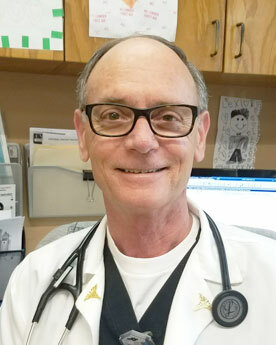 Jan Guy, PA-C is a US Army veteran who has been practicing medicine since 1990. Her vast experience covers working as a deputy coroner, licensed administrator for residential care facilities for the elderly, and over 10 years experience in Occupational Medicine. Ms. Guy has a reputation of having excellent interpersonal skills, compassion, listening to the needs of the patient, and professionalism with an infectious laugh and smile that sets her apart from all others in her field as the provider of choice. Reynaldo Locquiao III, is a graduate of Physical Therapy from the University of Baguio in the Philippines and has been an active Physical Therapist since 2006. 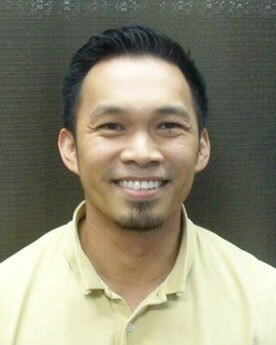 Mr. Locquiao is experienced in outpatient, skilled nursing, and acute settings. He believes in effective practical approaches to rehabilitation and has developed fitness and wellness programs aimed at preventing injuries and encouraging a more active lifestyle. 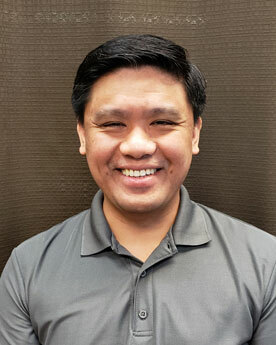 Anselmo Parinas, DPT received his Doctorate degree in Physical Therapy from Utica College in Utica, New York and has been an active Physical Therapist since 1999. Mr. Parinas is an expert in diagnosing physical problems that restrict movement because of an illness or injury. He uses exercises and a variety of different techniques to ease pain, boost mobility, and build muscle strength.